is a lot like a telephone directory. On steroids. Really good steroids. There are a lot of options built in such as Google maps, social media sharability, shelving for video, special offers and downloadable pdfs – which make it a far more valuable tool than a phonebook could have ever been. Flag City Online enables members to create professional listings in an online directory. Flag City Online business listings are easy for members to manage and even easier for visitors to search. All of FCO’s business listings are optimized for search engines. 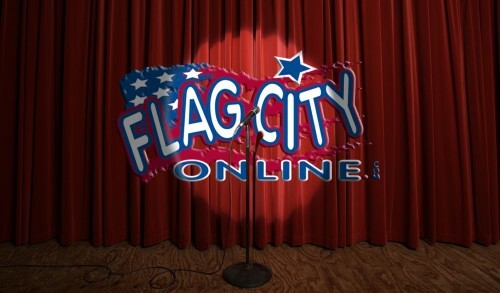 Flag City Online specializes in linking to member websites and their social media. And don’t forget the latest acronym, NAP (Name, Address, Phone Number). NAP is essential for local businesses and their search rankings. Search engines like Google use this data to determine which businesses/websites to show based on geographically-targeted searches. Make sure your business NAP is correct and consistent between your website, social media and all directory listings. Not all directories are created equal! Some directories have run amuck from the guidelines and good graces of the major search engines: Google, Bing, Yahoo. Before you list your business on a local directory ask a few questions. Ask about page rank, bounce rates and unique visitors. Look at a few of the current listings and use keyword searches to test the validity of the directory’s claims. It’s as easy as that! Listing your local business with the big name directories is always worthwhile. You should definitely make the time to claim and update your listings on Google+, Facebook and Yelp. Others directory websites that pack a large audience and have rankings to provide SEO benefits are Mapquest, Yahoo Local, Bing Local, Yellow Pages and Foursquare. These are trustworthy sites that follow rules/standards. They are unlikely to ever run afoul of big search engines. Also, seek out industry-specific directories that you might be able to join. In Findlay and Northwest Ohio – there are no better local directory choices than www.FlagCityOnline.com to enhance your SEO. The page has longevity and frequent updates firmly in its grasp. The bandwidth usage proves constant traffic with a site average of 3 pages viewed per unique visitor, and a bounce rate of less than 30%. If you are looking for a directory website to enhance your chances of being found online, FCO will keep your business name, address, and phone number (NAP) in the community spotlight! And a spotlight makes it easy to stand out from the crowd.